The growing season is full-fledged and you may be considering raising some fledglings of your own. 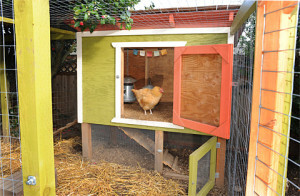 Check out these housing options for small-scale chicken raising from around the web. Feel free to comment and post ideas of your own – we’ll be sure to include them! 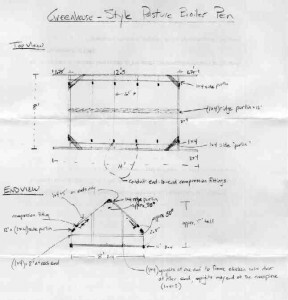 For Pastured Poultry, try this Greenhouse style pen used by Morris Farm. The infamous chicken tractor: here is a series of videos on how to build one from Garden Girl TV. This chicken coop featured on Tangled Nest makes the most of space in a backyard. 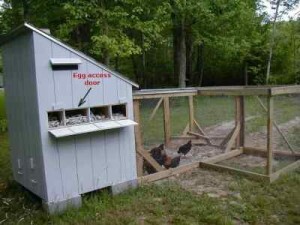 This coop featured on greenterrafirma.com includes easy access doors. This hutch built at La Finca NY used the frame off an old porch swing and other leftover materials to start. *BONUS* Recommended Reading: The ATTRA guide to Range Poultry Housing. Project is for: Farmers who need a flexible, multi-purpose, cultivating tool– most likely vegetable farmers. 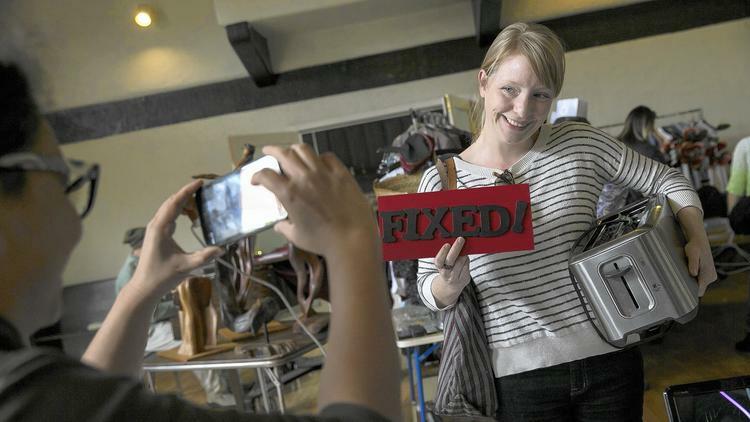 Skills needed: Simple metalworking (welding steel, or finding someone who can); also available commercially with an Allis G belly mount from Roeter’s Farm Equipment, but their version may not be optimized for your application. Summary: Tine weeders, like those built by Lely or Kovar, are often used on vegetable farms for cultivation of transplanted crops or sturdy direct seeded crops like corn and beans. Usually they are used “blind” (see video), raked over a crop while being pulled behind a tractor, and therefore their use is limited to those crops that can tolerate the “raking” action of the thin, flexible tines, spaced 1.5″ apart. This project creates a version of the tine weeder that can be belly-mounted to a cultivating tractor, so that individual tines can be lifted up so as not to engage the soil. This allows the tool to be used in between rows of crops that cannot stand the raking, such as just-germinated small seeded crops like carrots, beets and greens. This is a good tool for a smaller farm that cannot afford many different types of cultivators; it can be used for many different crops, however by itself it is not an ideal cultivator for all crops, since it is not aggressive enough to kill more tenuous weeds such as perennial grasses, velvetleaf, bindweed, or weeds that have established beyond a “white thread” stage. Horsepower requirements are very low.